Since the Central Valley of California is responsible for nearly 80% of the world’s almond crop, when the drought hit high gear a few years back, plant-based milk manufacturers were left scrambling for alternatives. Peanut milk wasn’t a viable option. While not a nut, this underground-growing legume could work, but too many are scared of peanuts due to fear of an allergy (and often it’s without merit). Macadamia could create delicious creaminess, but it’s high calorie and there’s limited supply. Cashew turned out to be the best option. 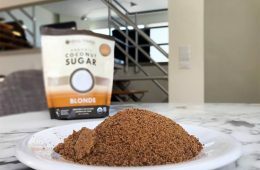 The big brands like Silk and So Delicious have launched several products for that nut, including creamer and ice cream. Everyone already knows those things are naughty, but is cashew milk healthy? You will understand why it might be the worst dairy free milk in just a moment. Can you make pecan milk? Yep and it turns out to be one of the best nuts to use. 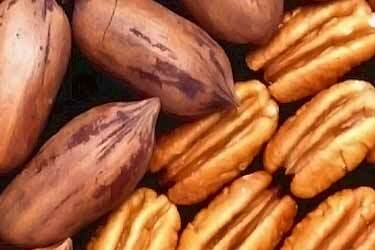 The biggest benefit is that pecans are the highest antioxidant nut. 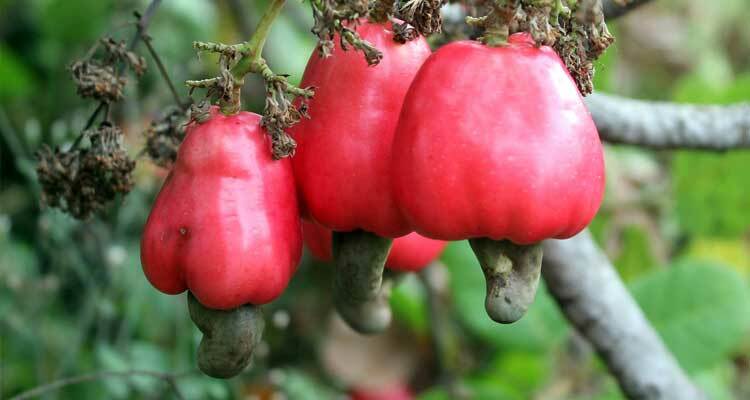 For those allergic to cashews (like one of us here) those drawbacks may not matter. For everyone else who simply wants a better alternative to Almond Breeze and Cashew Dream, do the pros of pecan outweigh the cons? 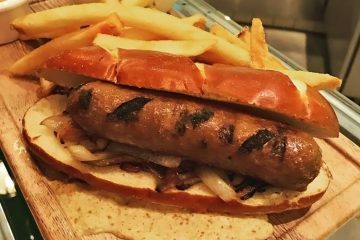 Rather than do a combo of a couple different kinds, they’re strictly using this high calorie option. Perhaps that’s fine in small amounts, such as a splash in your morning coffee. If you want something to pour into your bowl of cereal (or two) every morning and then again for your protein shake, pecan milk may not be healthy for you. If you’re watching your weight, it will be too many calories. A recipe for almond and pecan milk may seem like a tasty blend (and it is) though it won’t be much lower in calories. How much almonds there are in almond milk is shockingly low – as little as 2%. That’s why those popular brands can be 35 or 40 calories per serving for their unsweetened versions. Here’s a run down of the nutrition facts for every major nut so you can decide, based on the criteria most important to you. The amounts below are based on a 100 gram (3.5 ounce) measurement. Not everyone has the time or inclination to soak these puppies overnight and then liquefy them in a Vitamix, before straining (which is the typical homemade recipe). Even if you enjoy doing that, you may not always have the time. Everyone needs an off-the-shelf option on occasion. Where to buy pecan milk? Not every location for these retailers will carry Malk. 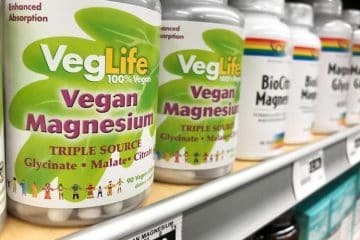 For example, the Whole Foods in Miami was not selling it at the time of this review, but the Los Angeles stores were. 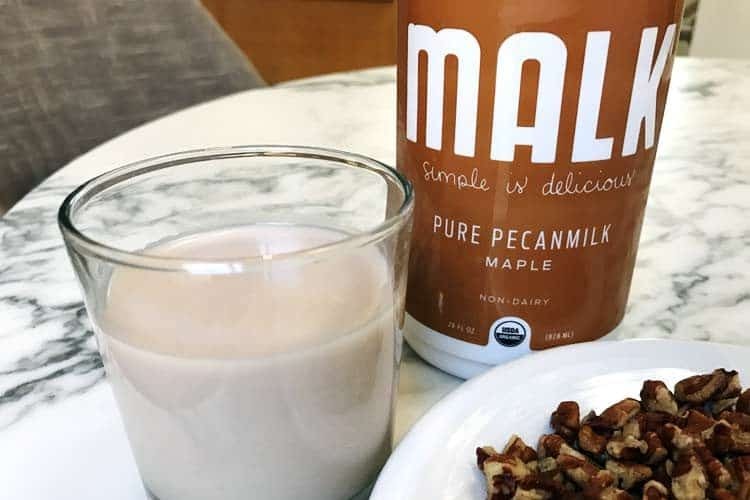 Even for the retailers which do carry the Malk brand, you may find them selling their more popular vanilla or unsweetened pure almond milk and not the pecan with maple flavor. What is it? Not the drink from The Simpsons episode! 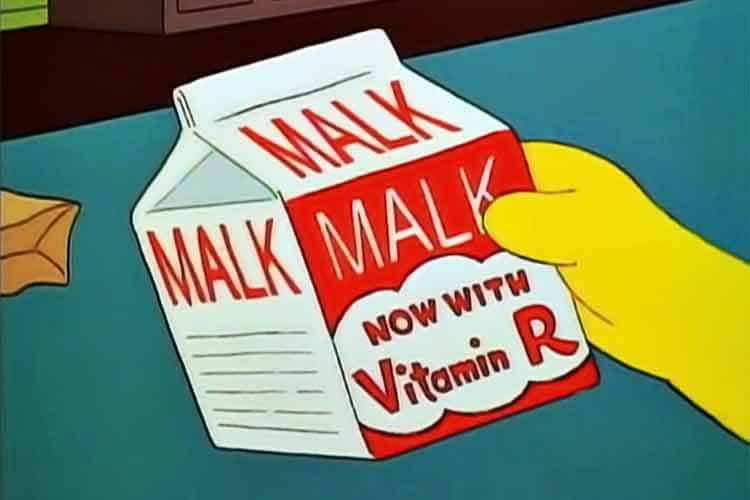 Bart was in the lunch room complaining about his brittle bones, realizing his carton of milk was actually MALK with vitamin R (whatever that is). Springfield Elementary School was using a crappy dairy imitator! Whether or not this real-life brand was inspired by The Simpsons is unknown, but what we do know is that they are a dairy free imitator that’s not crappy. Cold-pressed nuts, including real unpasteurized almonds from Spain for the almond flavors. This is because it’s illegal for U.S. sources to be raw and even those advertised as such (e.g. Trader Joe’s raw almonds) are still pasteurized. 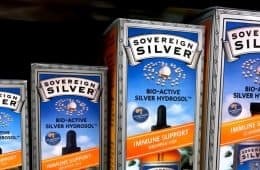 Your purchase supports a small independent company versus a multi-billion dollar food behemoth (at least until they sell out, as every brand seems to do). Hard to find for sale, even in many major cities. Expensive, which is to be expected given the high quality ingredients. 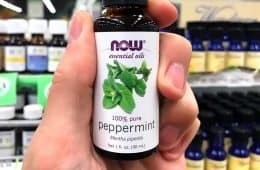 $5.99 for a 28 ounce bottle is a real budget buster. The 64 ounce cartons from Silk, Almond Breeze, and So Delicious are 128% bigger. On a equal comparison by weight, it means you’re paying $13.66 for Malk. Malk pecan milk is not available in an unsweetened version. 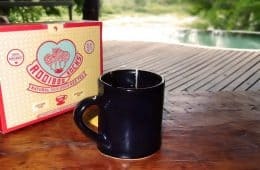 It’s sweetened with organic maple syrup which is one of the better options, but that’s still 7 grams of sugar per 8 ounce serving. 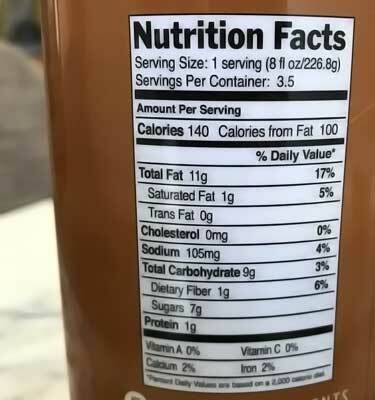 At 140 calories (100 of which are from fat) this beverage is 2 to 3x more caloric than competitors on a per ounce basis. Despite the high calorie count, it’s only 1 gram of protein. Added salt, which is not desirable for those adhering to a low sodium diet. Tastes watery, no creamy texture. Ingredients: Organic Pecans, Organic Maple Syrup, Organic Vanilla, Himalayan Salt, Filtered Water. It’s not that they’re doing anything wrong or cheapening their ingredients by watering them down. Rather, the problem is with pecans itself. Being such a high calorie nut, you can only use so much of it. Malk is 140 calories per serving. If you removed the 7 grams of sugar coming from maple syrup, that would only shave off 26 calories. You would still be left with a 114 calorie watery drink with lots of fat and practically no protein. You could double the amount of nuts to make it milkier, but then you’re approaching almost 300 calories per serving, if you kept it sweetened. And guess what? You probably do want it sweetened. Or at least, some other flavor added. Why? Because as yummy as it is in sugar-laden pies, when you eat this nut raw and liquefied, it doesn’t actually have much flavor. In other words, if you left off the maple, you would be drinking a 114 calorie beverage with little to no taste! These are the problems with buying it premade. Only one company makes it and while it is high quality, the way it’s made falls short. 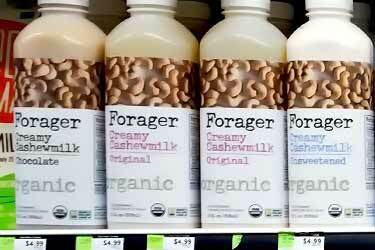 If you want to pony up $5 for a tiny bottle of Forager cashew milk, you can buy raw. The Malk brand is innocent on this front too, since they use cold-pressing, too. But take a gander at the popular websites touting a homemade pecan milk recipe. Many are advising you to use roasted or baked for flavor enhancement. 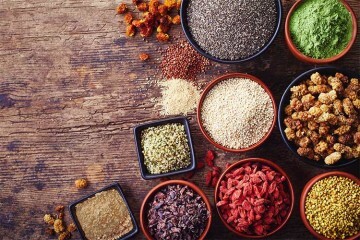 The fact that roasting destroys much of the antioxidants is the least of your worries. The bigger problem is the potential carcinogens it creates. Ditto for dairy free substitutes at the grocery store made with nuts. 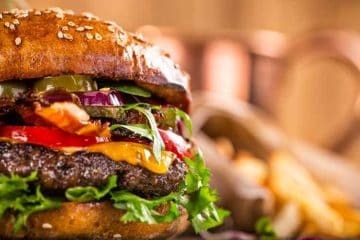 When certain foods are exposed to high and concentrated forms of drying heat, what forms are advanced glycation end products or AGEs (also called glycotoxins). Many of these are either official confirmed carcinogens or suspected carcinogens. The cancer causing AGEs in grilled chicken are by far among the worst. Heterocyclic amines are in that and 4 of them are official carcinogens; PhIP MeIQ, MeIQx, and IQ, as per the U.S. Dept. of Health and Human Services Report on Carcinogens (1). Kind of makes your Big Mac patty look healthy in comparison to your organic grilled chicken breast, right? Though vegans have stuff to worry about, too. In a plant-based diet, perhaps the biggest problematic food for the creation of AGEs are roasted nuts. Those don’t have HCAs, but they do have acrylamide. 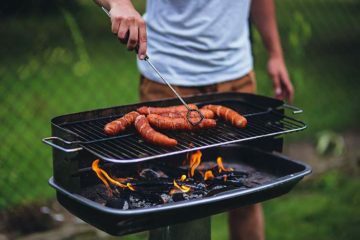 While not ranked as bad as the benzo(a)pyrene in meat (Group 1 carcinogen by the World Health Organization), acrylamide is only one notch better… it’s a Group 2A carcinogen. That means while not conclusively proven yet in humans, for animals there is “sufficient evidence” it causes cancer. The fact that acrylamide is not yet 100% proven in humans is not surprising, because it’s not like you can go out and conduct clinical trials where you intentionally administer someone high amounts of a suspected carcinogen! 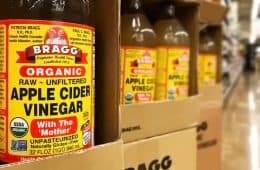 Dangers like these take decades to prove, especially when they might have the potential to turn the food industry upside down. Is cashew milk good for you? Considering the high calories and lack of protein in pecans, perhaps making this beverage with cashews seems like a healthier choice. Actually, after you see the following data, you may change your mind. Here’s a look at the total AGEs content in a number of ingredients related to plant-based milks, as well as some other foods for comparison. We left peanut butter in, because it’s an example of a highly processed nut. Well technically it’s a legume, but it does undergo the same processes as to how almond butter is made. Pecans weren’t measured in this study, nor are we aware of any others measuring how much advanced glycation end products (glycotoxins) there are in raw or roasted pecans. So determining whether they’re average, better, or worse than other nuts is not possible at the moment. 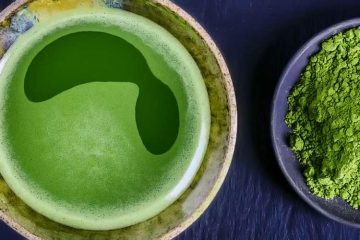 Avoiding AGEs altogether in your diet is impossible, but there are easy trends to follow which will dramatically reduce how much you consume. Even though a raw food diet may be the best way, cooking is not the problem here. As you see, a boiled potato is only 17, while a fried potato (fries) are 1,522. For most foods, it’s only certain methods of heating which cause the insanely high amounts. 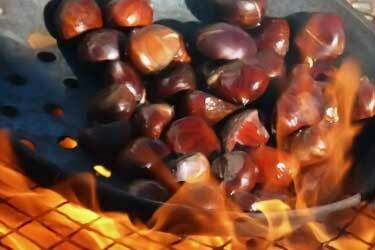 The only thing roasted chestnuts should be used for are words in a Christmas carol. Boiling is fine, because the moisture exponentially reduces how much is created. Not all raw foods are saints though. Both raw and cooked nuts contain AGEs, but how much each type has can vary greatly. Raw cashews are worse than roasted almonds! 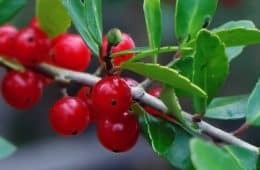 They grow in pods which are attached the bottom of a false fruit! As to why their AGEs content is so high, it’s not clear. One theory is that might have to do with the heat and UV rays of the sun, which might cause their fats to glycate (that’s why avocados also have moderate amounts of AGEs). Figs can have the same problem, as their sugars can glycate. Drinking lots of cashew milk might be bad for you, given how much AGEs the nut contains, even before roasting or blanching. That probably rules out So Delicious and Silk cashew milks as good alternatives to the hassle of homemade pecan. Then again, how much cashews there are in cashew milk is probably comparable to almond… not much. Perhaps those fillers aren’t so bad after all! What plant based milk is best? For advanced glycation end products, it’s among the lowest, if not the lowest (with some nuts not yet measured, it’s premature to say it’s #1). High protein content, including the BCAAs. Over 3x the antioxidants of cashew and almost 2x that of almonds and peanuts. Almost the lowest calorie nut. Cashews are less than 1% better. Chestnuts are low, but they taste wretched when raw (like, gag reflex bad). 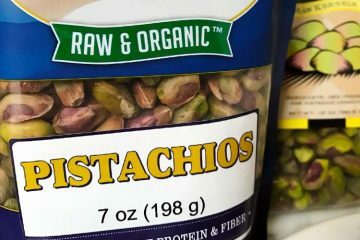 Where can you buy pistachio milk? Almost nowhere. A tiny brand out of New York City, Elmhurst Harvest, does sell it commercially, but they’re a mom ‘n pop sized operation. 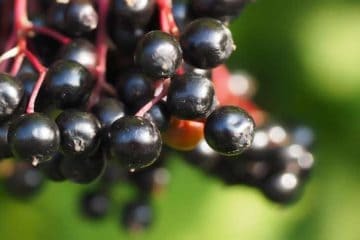 We’re not aware of a single grocery store which carries them and in fact, we’re not even sure if Elmhurst is still in business given that their Facebook page hasn’t been touched for over half a year. 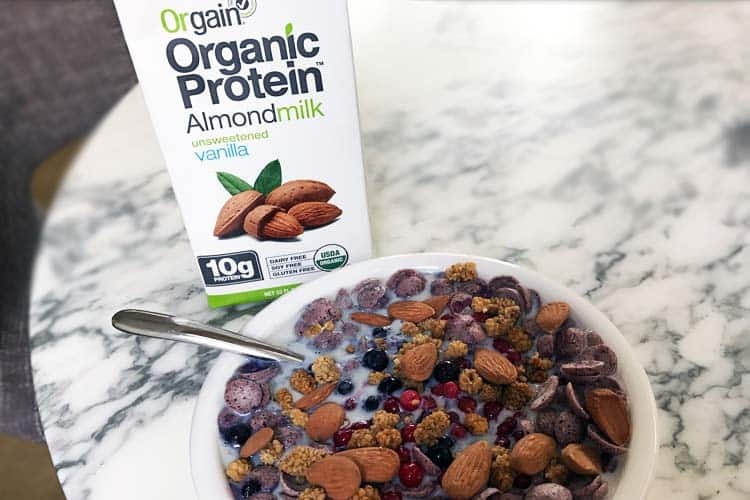 If you need a premade milk, the healthiest may be those which have minimal amounts of almonds and instead of a filler like carrageenan, one that uses pea protein to give it a more milky texture. Not only does the protein from peas add nutrition, but it’s a substantially lower calorie way to thicken up plant-based milks versus 100% nuts. Our favorite that does this is Orgain and since it’s shelf-stable, you can buy it on Amazon. By the ways, this is the cereal brand in that picture. Purple corn is high in antioxidants, too. 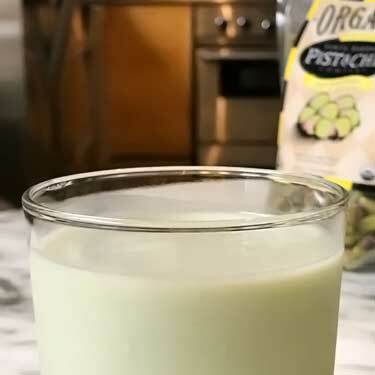 Now if you’re willing to do all the legwork, here’s how to make pistachio milk which is homemade and delicious. Add the benefits of pecans if want, but only use a little given how many calories they have. Based on today’s science, this might be the healthiest nut milk around. Makes 6 servings (8 oz). Lasts up to 3 days in fridge. 115 calories and 3.5 grams of protein per serving. Place pistachios and pecans in a bowl and fill with water until submerged. 2. Put bowl in fridge for 8 to 12 hours, or overnight. Since these nuts are naturally soft when raw, soaking is not absolutely required, but it will make your milk smoother. 3. Drain the soaked pecans and pistachios. 4. Combine the nuts, vanilla extract, monk fruit sweetener, and 5 cups of water in blender and liquefy. If you want the full nutrients, you’re done. If you want zero grittiness and no stirring required, then continue. Attach a nut milk bag to the perimeter of a pitcher. Slowly pour the contents of the blender into the bag, so the milk passes through and the larger pieces collect in the bag. Squeeze the bag with your hands to get as much liquid out as possible. Straining with a milk bag will reduce calories and fat, but also protein. I guess if you’re trying to gain weight, home made pecan milk is the best choice then. But in any case, thanks for this info, it’s really helpful!